The first time someone asked me for two years’ rent upfront in advance my jaw dropped. I just don’t keep 55 grand lying around. In my financial accounting class perhaps the most important principal was: Money now is worth more than money later. That is the whole idea behind paying interest and the reason people rent instead of buying, i.e., because you cannot afford to buy a house now, you rent, spending less today, but more over time. Here in Indonesia that principle does not exist. Paying upfront causes another problem, though. The landlord-tenant relationship is completely changed. When the landlord already has all the money, he or she has no incentive to respond to the need of the tenant or to solve problems. We have heard horror stories about the absentee landlord in Jakarta. Expats rarely have the knowledge to hire workers for home repairs, though most landlords are experts at this. But if a landlord has all your money and a water pump breaks (as happened to a couple we know), you as an expat are stuck replacing the pump — because the landlord won’t take your calls. I was appalled by this system, so I built a little provision into our lease. Instead of paying the whole amount upfront, we paid only 80% and spread the rest out over a 5-month period. The provision has served us well, because in the first two months, our patio had a drainage problem, our water pump broke, our water filter system had to be serviced, pipes in our walls leaked, and air-conditioning units needed to be replaced, in addition to a few smaller repairs. The agent (who works for our landlord) knew most of these problems before we rented the house but probably hoped to leave the burden to us. In the case of our agent, even when she does step in, repairs are rarely done well. Her workmen often lack the tools to do the job right, and then make a quick and temporary repair. When our water pump broke and the workman told her that he needed $10 to buy a new part, I watched her hand him $5 and say it was enough. Later, we discovered that a pipe in a concrete wall was leaking. After opening a couple of feet of wall and making quite a mess, they simply installed an ugly orange pipe outside the wall and left the corroded pipe inside. Fortunately I was at home and could insist on a certain level of quality some of the time. Companies that fronted all their employees’ rental costs have enabled a cottage industry of absentee landlords to thrive, and left hordes of expat spouses to struggle with home repairs. This entry was posted in Bureaucracy, Indonesia, Our Daily Life and tagged houseing, Jakarta, landlords, property, rent. Bookmark the permalink. Crazy, eh? I attempted for awhile to try to find shorter term rental arrangements (have a short-term project there) – originally only 3 months then the project got extended. 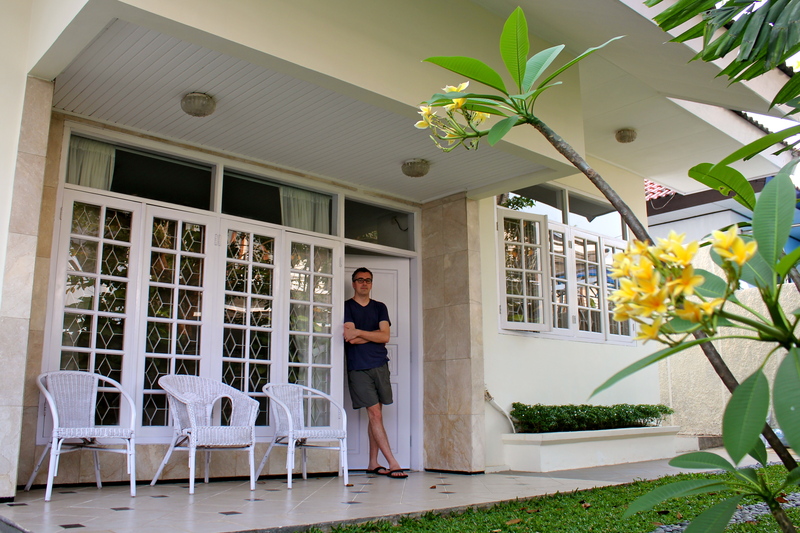 It was a great insight into renting in Jakarta but ultimately fruitless! The irony was by the time I did find two options, the requirements to be ‘on the ground’ significantly reduced so no longer made sense to get an apartment after all?! One arrangement was a sub-let as the girl got a job in another part of Jakarta so left her original apartment – paid til the end of the year – empty so she could shift to a different one rather than deal with the commute.